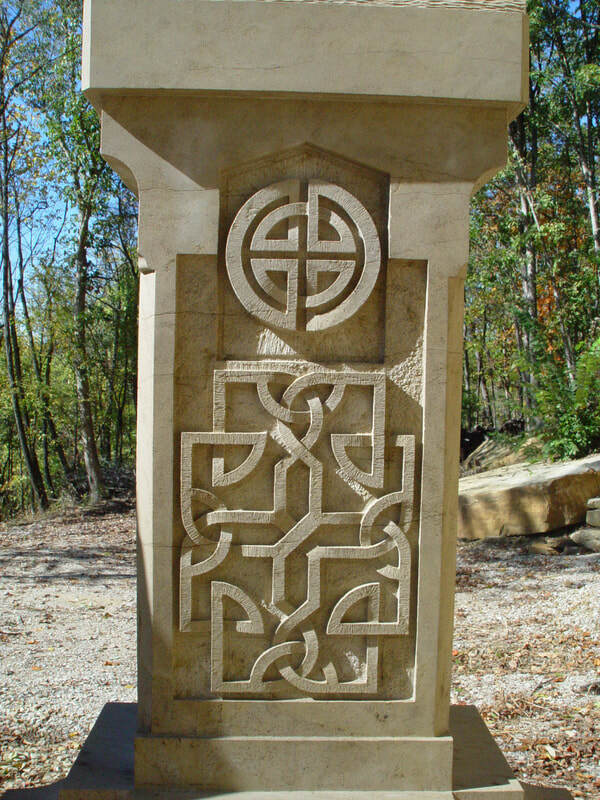 Greg Harris, Celtic Cross stone carver. 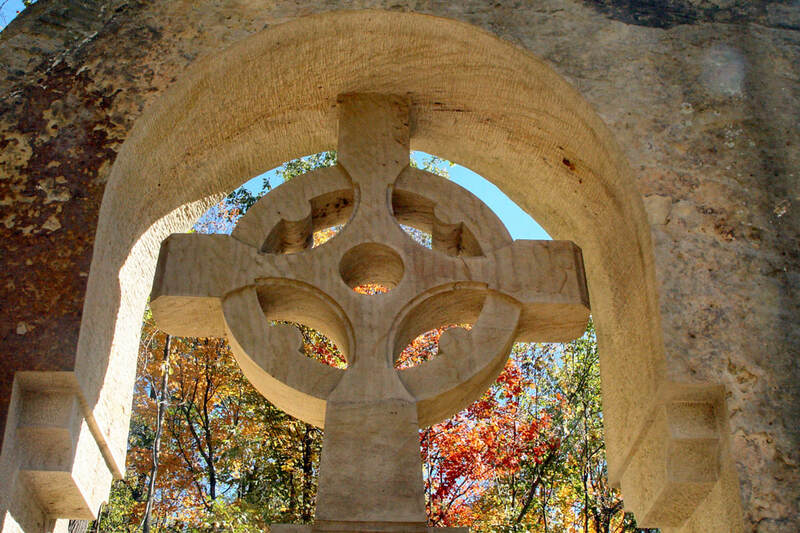 Greg Harris, local sculptor and Renaissance man, is the creator of a High Celtic Cross commissioned by Gary and Lynn Dauby on Blue Heron Vineyard property. 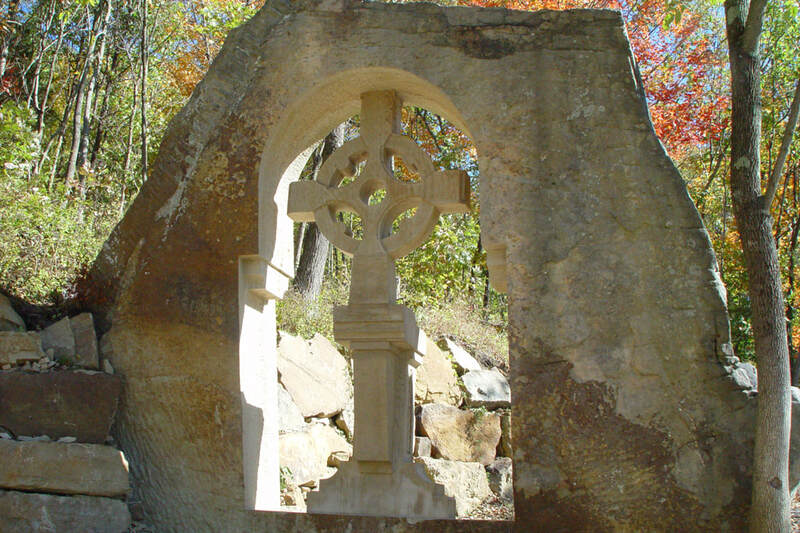 The cross has been carved within a 20’x 22’ x 4’ stone that is natural to the hillside. 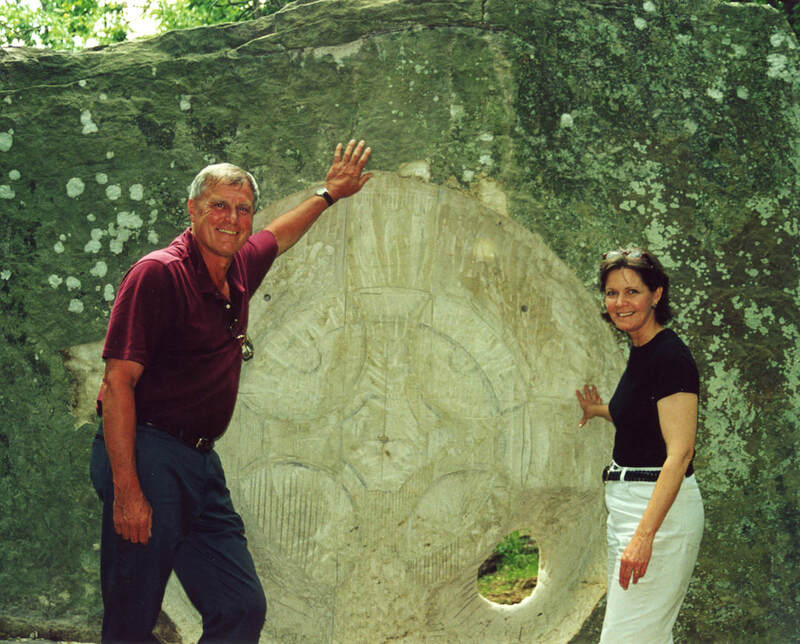 Greg spent 23 months carving this piece, working 6 days a week from morning until dark, in the cold and ice of winter and the heat and humidity of summer. “I was a slave to the environment,” he once said. Where others would carve in a controlled studio with assistants to do the “dirty” work, Harris faced the elements faithfully, alone…and won. Greg has completed a variety of projects for Blue Heron Vineyards including other carvings in marble, bronze and sandstone, and intarsia doors that lead to one of the buildings, a pergola and an outdoor room. Each is designed to perfection - a true testament of Greg's skill and attention to detail.